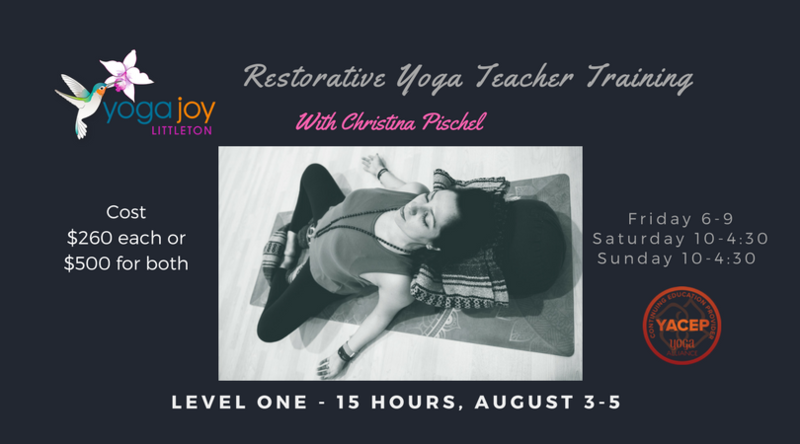 60-hour Yin Deep Dive Immersion and Certification featuring Christina Pischel. Learn the fundamentals of Yin Yoga and how to become a Yin teacher. The YIN teacher Training program is designed to assist you in taking your YIN practice to a deeper level while learning the subtleties of teaching a yin yoga class. In this training with Christina Pischel, you will learn about anatomy, alignment, the subtle energy body, philosophy, breath practice and more! This training is suitable for all levels of practitioner and no prior teacher training experience is required. Investment: $600, early bird $545 if paid by August 1. 15% off for Members. Additional discount for Yoga Joy Yoga Teachers and Bhakti Yogis. Payment plans available. Teacher receive Yoga Alliance CEC hours.